Last weekend I had the pleasure of attending the VRWS conference in Barcelona. With amazing speakers and a great crowd I learnt an awful lot. 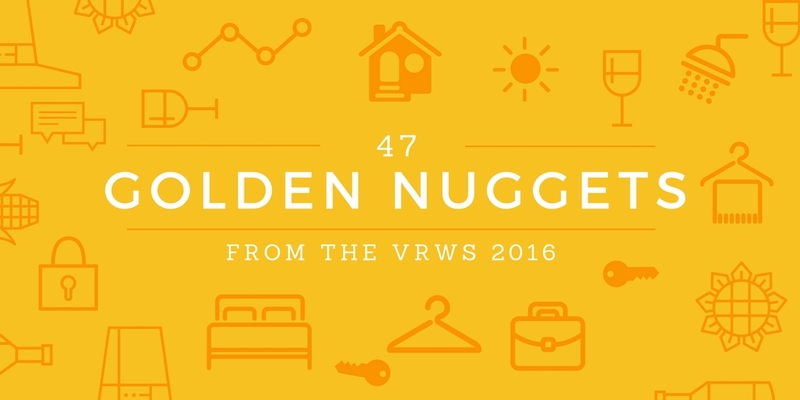 Here are my 47 super useful golden nuggets of information I gleaned from this years event… enjoy! Last weekend I attended the third edition of the Vacation Rental World Summit (VRWS) in Barcelona. I had the pleasure of meeting passionate and savvy owners, managers & technology providers from all around the world, sharing their unique information & insights – I had an amazing time, so a big thank you to all the speakers, Antonio, Cristina & Adrian. I’d love to share with you the 47 takeaways I found extremely useful. This post was candidly written from notes – I have awful handwriting so apologies if they aren’t entirely accurate. I’ve categorised my notes by speaker and included my own thoughts into the mix. 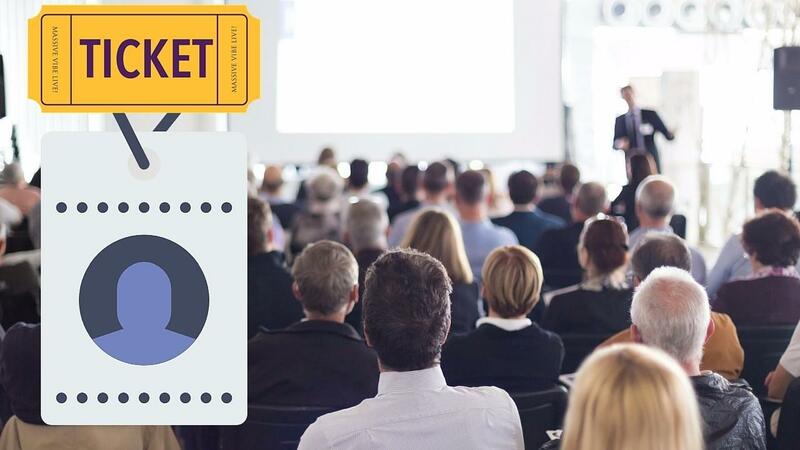 The entire event was filmed and all the slides & footage will be available on the Vacation Rental World Summit soon, so make sure to sign up for full access to the amazing information shared! All guests take vacations to solve various problems in their lives, whether it’s to unwind from stress, satisfy a desire to experience new things or take an opportunity for important family bonding, people take vacations to solve their own individual problems. It’s important to understand these problems so you can solve them throughout the guest experience – which we all know leads to better reviews & more repeats. For example, you own a small city rental. After questioning guests, you find most of them are business travellers from abroad.. they choose your rental because it has great transport links to the centre. Why not provide transport maps, a free topped up tube / bus pass or a voucher for a free dry cleaning pickup? Be careful marketing to guests on the basis of price – they’re more likely to complain. It was mentioned that advertising with Booking.com could lead to worse reviews because guests buy into price. Instead, don’t focus on price, focus on the amazing guest experience you provide. Get people to buy into your vision. Always reward guests for negative feedback. Positive feedback is great but will never give you an understanding of how to improve and become better. If a guest helps you make the experience better, send them a gift – they may turn into repeats. It’s easy to focus on making sure guests are happy right up until they leave – but if something goes wrong in the closing hours, they’ll leave with a bitter taste and bad reviews. Hospitality encapsulates the entire guest experience, not just the booking process. It’s essential to build rapport with the guest and be their friend. Antonio really drove home the importance of having your own website. It’s the basis for direct bookings and communication with your guests. It allows you to have greater control over your company, make more money and improve the guest experience. After every enquiry/inquiry launch a 3 step email sequence, designed to nurture the enquiry into a booking. Antonio’s secret is to have the final email offering something amazing and unexpected to clinch the deal. Using WordPress, it’s possible to create a personalised booking page for every guest who enquiries – with their name, video testimonials, photos, descriptions and a link to pay. Again, another example of going above and beyond to produce the unexpected – imagine their reaction! Which makes up part of casamarazulsanpancho.com, Antonio’s latest site he built for a fellow property owner. Over 1 billion people use What’s App and growing. It’s a great way to have an informal conversation with guests to build rapport and be their friend. The guest also feels like they have a direct & personal line to you, the owner. Pretty self explanatory – people record themselves (with audio) using your website. It’s a good way to see how you can improve the usability of your website so it can have a greater impact on conversions. People are price sensitive, however only 23% of our travelers budget is dedicated to accommodation! Lots more money to be made from guest services (if we provide them). For example, taxis, tour guides, attractions, event etc. Luckily the property still remains the centre of the guests universe on holiday – that’s their base. 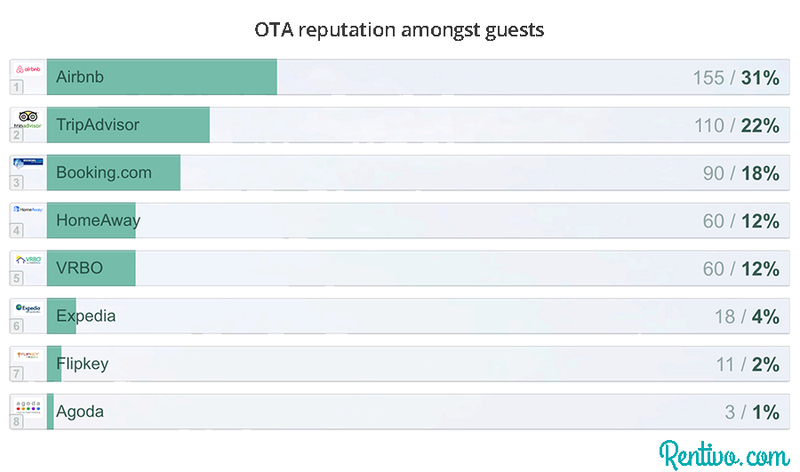 OTAs have done an amazing job at refining the booking process but now they may might try and take the guest experience too by offering ancillary services. However, as Martin pointed out, each OTA would have a different guest experience. There’s a lack of consistency across multiple platforms in the guests experience which negatively affects you and your ratings. It’s the one thing you still control and the one thing you have to stand out amongst the crowd – don’t let OTAs steal it! Personalised tour guides through your eyes – no OTA could replicate that. An interesting point but one I agree with coming from a tech background. Think about removing the damage deposit… it’s just another pain point for guests that negatively affect their experience. Martin is happy to do this because he covers the cost through his additional services provided from Vreasy.com. Many of Martin’s emails and notifications are completely automated. He’s made sure to add a funny photo of himself and even leave typos in the email to add a personal touch to show they’re talking to a real human (kind of). With a strong company culture, you’re able to unburden yourself with mundane tasks because you can trust in your team to live by a code. Martin has distilled a culture in his management team by giving them a pot of money and full autonomy when it comes to complaints. For example, if the boiler breaks and the guest complains – the management team are able to fix the problem and buy the guest an expensive bottle of wine without Martins permission – massively reducing stress! Both Vreasy & BookingSync are great when in comes to automating guest & management notifications. In this case, Martin uses a smart interactive checklist to ensure the guests have received their arrival instructions. Texts are sent if guests haven’t verified they’ve read the instructions. This also presents an opportunity to determine the type of guest – do they want help or do they want to be left alone? However, we only focus on the booking stage – selling our amenities like en-suite bedrooms, balconies and even our kitchen sinks! That’s NOT why travellers go on holiday, they go on holiday for the location, culture, sights, sounds, attractions and events. Why not focus on that? This creates a unique place where travellers can view useful information about their destination. Sell your holiday home secondary. You’re very unlikely to beat OTAs in SEO for terms like “vacation rentals in XXXX”, however, you’ll have a much better chance at ranking for “Love saves the day festival in XXXXX”. Share every blog post on your social media accounts and include hashtags such as #holidaysinlocation #whatsonlocation – hashtags open up your social media reach by making you post visible to interested parties. Richard’s slides were all about the future & direction of the industry. The second portion of his presentation was a panel discussion with questions from himself & the audience directed at panellists from Airbnb, Booking.com, Klik Villas & Original Cottages. From the panel discussion we also learned the benefit of handling night time inquiries/enquiries with a personal assistant from around the world by answering enquiries immediately. The host / OTA relationship is causing hosts to mark up their prices in response to increasing commissions, which means guest are paying more for rentals – not to mention guest service fees too! Booking direct should theoretically save guests a tonne of money! Search terms for holiday rentals (vacation rentals in **) have been decreasing since 2004 but search terms for OTAs & popular brands (Airbnb, Booking.com) have been increasing. This clearly demonstrates the increasing importance of brands. They’re an amazing resource that provides trust which small independent websites can’t match. The world’s moving to personalised experiences. It’s no longer good enough to send blanket marketing messages, one size fits all – millennials are leading the way, demanding a more personalised experience. This requires smarter tools and more data. If you know what the guest wants before they arrive – their experience could be dramatically improved. There will also be an increase in video and new forms of media, such as virtual reality walk-throughs of holiday rentals. New and existing software will begin to connect & share data. Vreasy & bookingsync.com are great examples of software which connects to multiple apps, providing you and your guest the best experience. Use software to automate notifications and send guests arrival instructions with a “pre-filled” form to capture guest details and move communication outside of OTA platforms. This provides a professional experience… and by connecting to apps like Mailchimp, you can send targeted email campaigns to your existing customers to increase repeat bookings. Home automation was covered many times throughout the VRWS, which demonstrates its growing popularity. Seb showed how companies like Nest can help you automate & control aspects of your home remotely, such as monitoring security & safety, adjusting temperature, changing lights and much more. These are great tools to save you time and improve the guest experience! Welcome apps are tablets or software that are installed in your holiday home, to provide guests with useful information. Seb proposed the idea of using these devices to record search terms used by the guests to identify common themes. What do your guests want? And how can you use this information to pre-empt & improve the guest experience? You can read their full post here. This doesn’t conflict with the industry moving toward personalization – I think they go hand in hand. Expectations are increasing and to stay ahead of the pack – we must adapt. Next year’s trend will be about everyone connecting together as mentioned earlier. Additionally, the average travellers visits 4 separate websites and makes 7 enquiries before booking. These statistics clearly show that most visitors to your website are NOT looking to make a booking. This presents an interesting problem, one that can be solved through “re-marketing”. The idea is to capture visitors details in order to sell them your holiday rental when they ARE ready to book. Using Facebook Custom Audiences, hosts & managers can create “custom audiences” to show Facebook ads too. For vacation rentals this would be website visitors, previous guests or newsletter subscribers. Thibault uses Facebook to display a free guide about his property location, in exchange for an email address. This encourages website visitors, who are no longer on your website, to leave their email address – which you can use in future to send promotions about your rental – very smart. Using Facebook Audience Insights, owners & managers can understand where their competitors bookings are coming from. In Thibault’s example, he used this technique to identify where almost all his competitors guests were from – the major U.S cities with direct outbound flights to his location. With this clever insight, every ad campaign targeted these locations specifically to increase conversions and bookings. According to Moz, about 16% of people read all the content on your website! Skimming isn’t always the incase and it’s for that reason what you write is extremely important. Developing a brand voice allows you to express your tone, style, humour and personality – which is key to driving conversions. Awesome, best/most, excellent, customer service, cheap, affordable, budget – these are all words you need to prove with evidence, otherwise guests won’t trust you. An extremely interesting statistic – this is because people rate other people more tactfully than businesses. Airbnb is amazing at being personal, you’re connecting directly to the host (with a profile picture). The biggest takeaway from this statistic is to be more personal throughout enquiries and on your website. You’re the face of the business – make guests feel like they are talking to you, not your company! Make guests feel like they are talking to you, not your company! When constructing free traveller guides, guest guides or welcoming guides it’s important to remember information coming from a local expert is infinitely better than information from Google. Alex & Tammi are both super hosts, they understand a great deal about how to give the guest an amazing experience. Alex expressed he has an amazing track record of 5-star reviews – His secret – Truffle Oil! Well, not just truffle oil but that’s just one example of wowing customers. Little details like pre-stocking Truffle Oil over Olive Oil & incorporating an Amazon Alexa in your kitchen for cooking measurements adds up to an unexpected and amazing guest experience. A great way to personalise your home is by adding a shared bookshelf, with books that you read – books that are different and unique to you or your message. Even encourage guests to take and leave their own books! Leaving family photos in your home is a great way to give guests a personal experience but draw the line – guests don’t want dirty socks in their draws! I never knew Airbnb did this but it’s a very clever idea – By data mining keywords in your reviews, Airbnb understands what guests love and hate about your rental. Therefore it’s important to focus on getting good reviews with as many keywords as possible, so your listing is super applicable. The best reviews come after you shock the guest with an amazing and unexpected experience! This was the VRWS’s first live event – and what a success. The event has an amazing family feel with many intelligent & like-minded individuals. I’m sure next year will be even better! You can get early bird tickets to next years Vacation Rental World Summit in Florence, Italy here.